Intranet service? Check. Autonomous motorcycle? Check. Driverless car technology? Check. Obviously the next logical project for a successful Silicon Valley engineer is to set up an AI-worshipping religious organization. Levandowski was co-founder of autonomous trucking company Otto, which Uber bought in 2016. He was fired from Uber in May amid allegations that he had stolen trade secrets from Google to develop Otto’s self-driving technology. He must be grateful for this religious fall-back project, first registered in 2015. The Way of the Future team did not respond to requests for more information about their proposed benevolent AI overlord, but history tells us that new technologies and scientific discoveries have continually shaped religion, killing old gods and giving birth to new ones. Religions, Harari argues, must keep up with the technological advancements of the day or they become irrelevant, unable to answer or understand the quandaries facing their disciples. “The church does a terrible job of reaching out to Silicon Valley types,” acknowledges Christopher Benek a pastor in Florida and founding chair of the Christian Transhumanist Association. Silicon Valley, meanwhile, has sought solace in technology and has developed quasi-religious concepts including the “singularity”, the hypothesis that machines will eventually be so smart that they will outperform all human capabilities, leading to a superhuman intelligence that will be so sophisticated it will be incomprehensible to our tiny fleshy, rational brains. For futurists like Ray Kurzweil, this means we’ll be able to upload copies of our brains to these machines, leading to digital immortality. Others like Elon Musk and Stephen Hawking warn that such systems pose an existential threat to humanity. 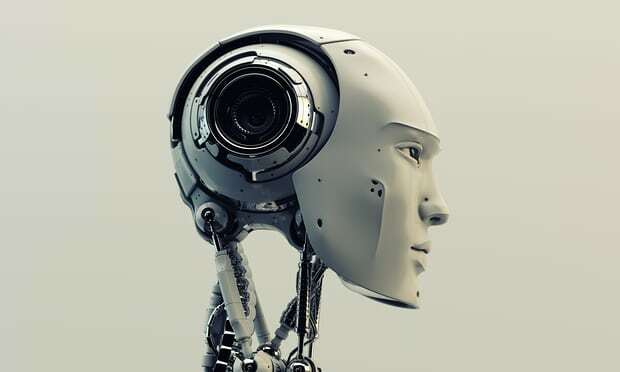 Benek argues that advanced AI is compatible with Christianity – it’s just another technology that humans have created under guidance from God that can be used for good or evil. “I totally think that AI can participate in Christ’s redemptive purposes,” he said, by ensuring it is imbued with Christian values. For transhumanist and “recovering Catholic” Zoltan Istvan, religion and science converge conceptually in the singularity. “God, if it exists as the most powerful of all singularities, has certainly already become pure organized intelligence,” he said, referring to an intelligence that “spans the universe through subatomic manipulation of physics”. “And perhaps, there are other forms of intelligence more complicated than that which already exist and which already permeate our entire existence. Talk about ghost in the machine,” he added. We don’t know whether Levandowski’s Godhead ties into any existing theologies or is a manmade alternative, but it’s clear that advancements in technologies including AI and bioengineering kick up the kinds of ethical and moral dilemmas that make humans seek the advice and comfort from a higher power: what will humans do once artificial intelligence outperforms us in most tasks? How will society be affected by the ability to create super-smart, athletic “designer babies” that only the rich can afford? Should a driverless car kill five pedestrians or swerve to the side to kill the owner? If traditional religions don’t have the answer, AI – or at least the promise of AI – might be alluring. What if the universe supports time travel, and this AI develops it? Then we hope this A.I. to be a good A.I. I strongly believe that our children will not fight their parents. They will cooperate.